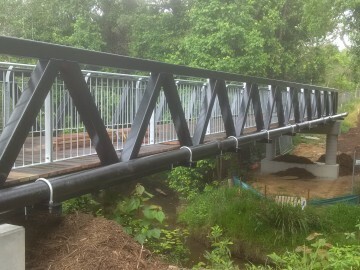 To design, fabricate, paint, deliver and install a 18mtr x 1.8mtr cycle bridge. 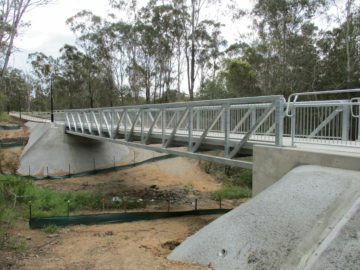 Also to design and erect concrete abutments. 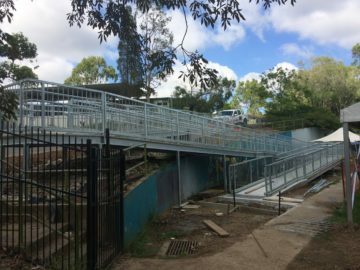 To design, fabricate, paint, deliver and install a 25mtr x 2mtr pedestrian bridge. 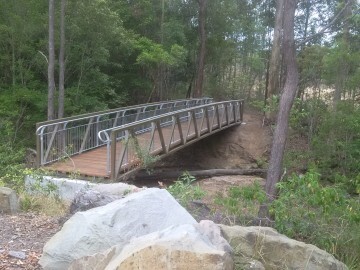 This included RPEQ certification of the bridge. 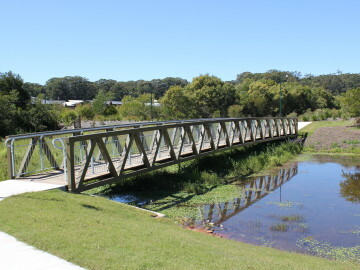 To design, fabricate, paint, deliver and install a 20mtr x 2.5mtr cycle bridge. 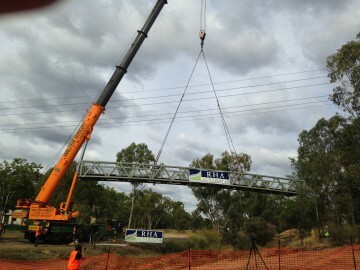 This included RPEQ certification of the bridge and design and certification of the abutments. 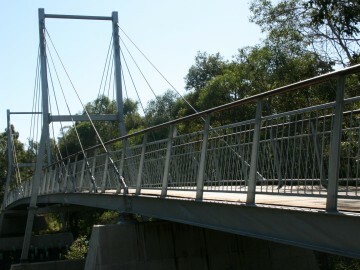 The bridge was a typical steel Warren truss design, with timber decking and combined handrail/balustrade panel. 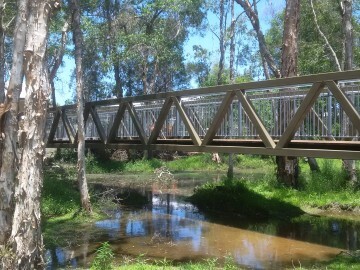 The Bridge was a typical steel Warren truss design, with timber decking and bolted balustrading panels.